Hold My Hand, My Baby | Ms Moem | Poems. Life. Etc. So hold my hand, my baby. 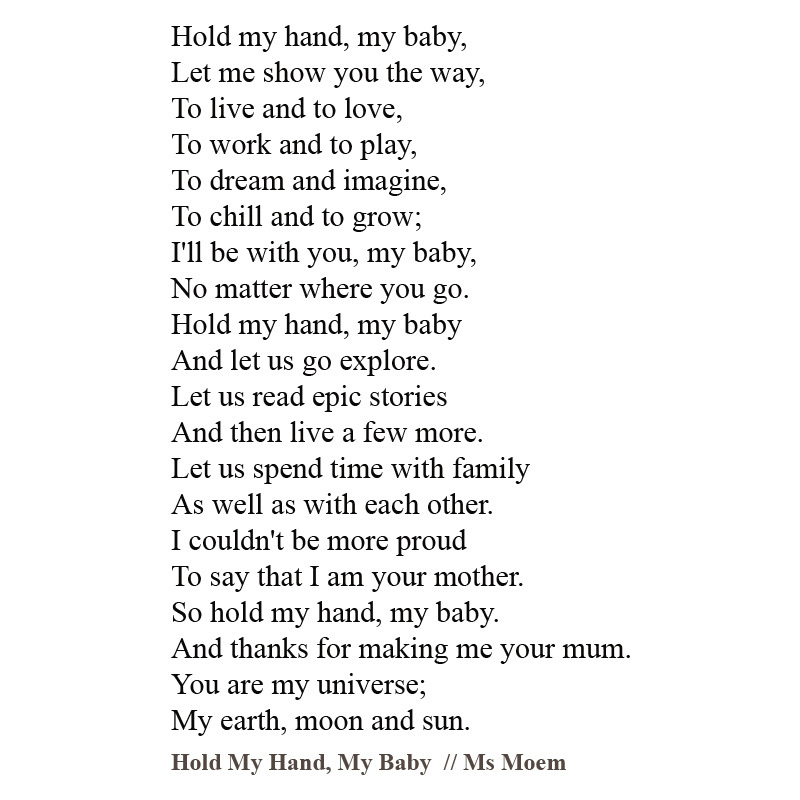 © Hold My Hand My Baby is a short poem about being a mum, by English Poet, Ms Moem.